I made this card using Patti Moore's freebie that you can find here. 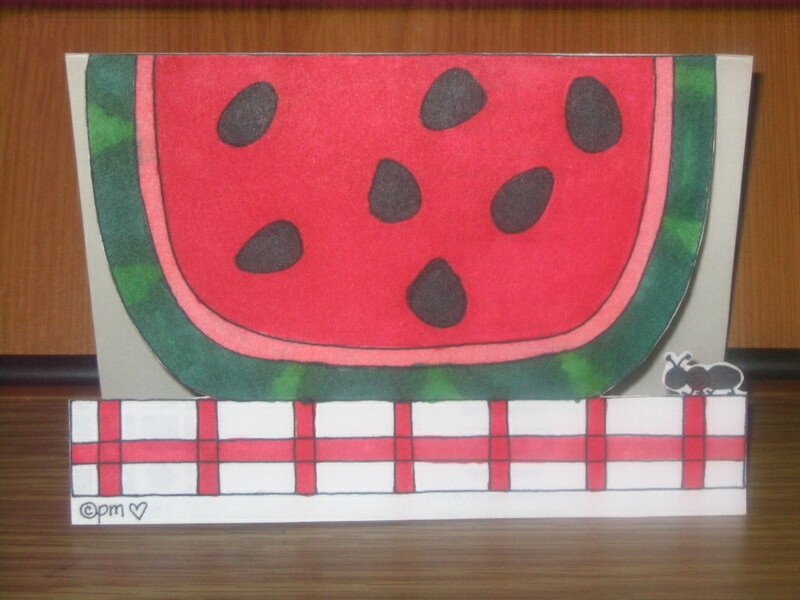 I just love this image, nothing says summer more than watermelon. Go on over and take a look at her blog , Pholkart blessings, and esty shop! I'm entering this card into Iris's challenge #2, the theme is summer! Thanks for adding your link to my blog, too!... 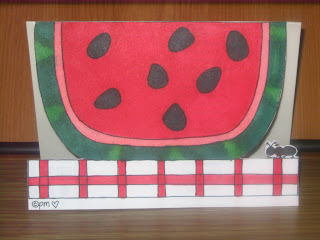 It's so fun for me to share your CUTE design with my blog readers!! Adorable card! Thanks for joing us at Iris' challege! !